QUEST — a two-day retreat for freshmen and sophomores that focuses on love of God, love of others and love of self. It is a great way to enhance the faith of our youth and meet great people. TEC (Teens Encounter Christ) — a three-day retreat for high school juniors and seniors and college freshmen and sophomores that focuses on the Paschal Mystery. A great chance to learn more about having a relationship with God and meet new people. 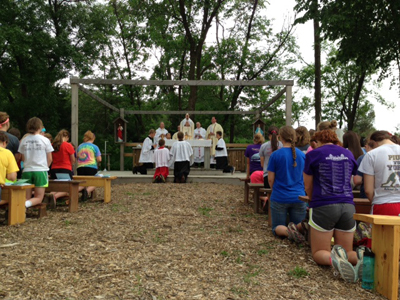 Camp Kateri Tekakwitha — Catholic Camp for youth and families near McCool Junction. Hosts retreats, parish groups, and family events including the Leadership Camp and SKY Camp for 6th-9th graders.